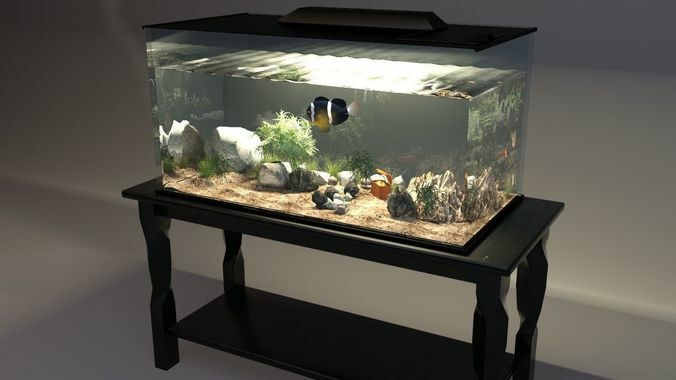 Home rectangle style Fish aquarium. all textures Bitmap with uv non-wrap except the fish. Table & scene lighting in table renderings not included.